January 20: 5 POWER Lessons From 5 Leaders Who Made History On This DAY! At certain points of lives, we begin to encounter situations that help us realize that our ability is much more than what we think it is. It is also important for us to be prepared for certain situations that are bound to throw challenges at us. Follow this read, which shall not just give you strength to handle them, but also help you to prevent yourself from wrong doings that might otherwise happen. 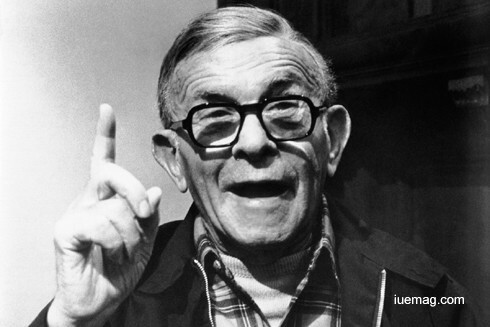 George Burns was an American comedian, actor, singer, and writer. He was one of the few entertainers whose career successfully spanned vaudeville, radio, film and television. His father died of influenza when the boy was just six or seven years of age. In order to support his family he took up odd jobs like shining shoes and selling newspapers. He was once working at a candy shop with some other boys of a similar age. The boys used to sing harmony in the basement in order to entertain themselves. Often people would stop to hear the boys sing and gave them pennies. This inspired him to enter the show business. A naturally talented youngster he began singing harmony with other boys on the streets in order to earn money. After realizing his flair for comedy, he began performing comedy routines. It was during one such performance that he met his future partner and wife Gracie Allen. George and Gracie hit it off as a successful on-stage couple and appeared together in a number of radio programs, stage performances and motion pictures. Burns enjoyed a long and productive career that spanned over three quarters of a century. He was also one of the few entertainers who could carve a successful career in the media of vaudeville, radio, film and television. During nineteen years in radio, Burns and Allen attracted an audience estimated at more than 45 million listeners. With a deep love for his profession, he continued performing till late in his life and won the Academy Award when he was 79. 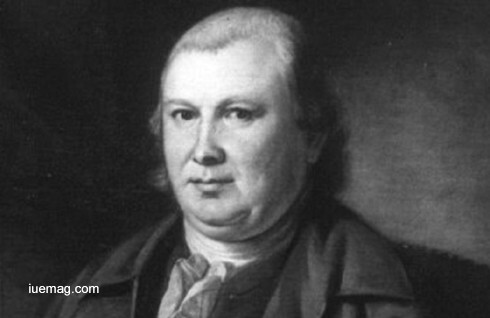 Robert Morris, Jr. was an American merchant and banker who became well-known known as the financier of the American Revolution. Morris raised funds in 1781 that made it possible for General George Washington to move his army to Yorktown, where Lord Cornwallis surrendered. During the Stamp Act turmoil in 1765, Morris joined other merchants in protest, but not until the outbreak of hostilities a decade later did he fully commit himself to the Revolution. Morris, a key congressman, specialized in financial affairs and military procurement. Although he and his firm profited handsomely, had it not been for his assiduous labors the Continental Army would probably have been forced to demobilize. Morris embarked on the most dramatic phase of his career by accepting the office of Superintendent of Finance (1781-84) under the Articles of Confederation. He slashed all governmental and military expenditures, personally purchased army and navy supplies, tightened accounting procedures, prodded the states to fulfill quotas of money and supplies, and when necessary strained his personal credit by issuing notes over his own signature or borrowing from friends. To finance Washington's Yorktown campaign in 1781, in addition to the above techniques, Morris obtained a sizable loan from France. He used part of it, along with some of his own fortune, to organize the Bank of North America, chartered that December. The first government-incorporated bank in the United States, it aided war financing. Although not as renowned as his friend George Washington, but without Robert Morris, the American colonies’ bold attempt to throw off British rule never could have succeeded. Harriot Eaton Stanton Blatch, suffrage leader, introduced innovative publicity, organizational, and political tactics to the lagging suffrage drive at a critical juncture, an effort that helped win suffrage in New York, the most populous state. The daughter of famous suffragette Elizabeth Cady Stanton, Harriot Stanton Blatch continued her mother's work in the women's rights movement. After marrying William Henry Blatch in 1882, Harriot Stanton Blatch spent nearly two decades living in England. While abroad, she became involved in such social movements as the Fabian Society, a progressive political organization. Blatch also helped in the fight for women's suffrage there. She was an associate of famed suffragist Emmeline Pankhurst and a member of the Woman's Suffrage Society. 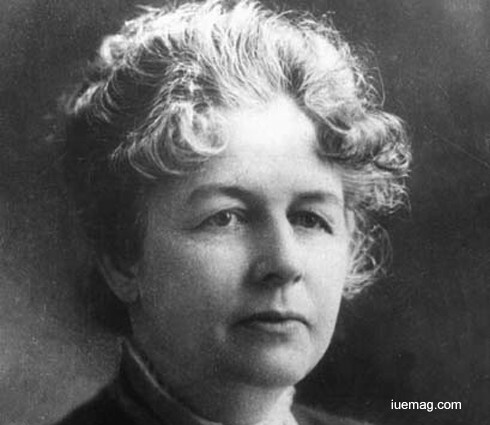 Blatch returned to the United States in 1902 and once again got involved in the women's rights movement. She founded the Equality League of Self-Supporting Women in 1907, and Blatch worked hard to bring British suffragists to speak in the United States. Her organization became known as the Women's Political Union in 1910. During World War I, Blatch devoted her time to the war effort, heading the Women's Land Army, which provided additional farm labor. She wrote Mobilizing Woman Power in 1918, about women's role in the war effort, urging women to "go to work". In 1920, she published A Woman's Point of View, where she took a pacifist position due to the destruction of the war. She is remembered for her social and political activism, especially helping women win the right to vote. Whilst still in high school, the future director started making a name for himself as a caricaturist: to promote films, the manager of the Fulgor cinema, hired him to draw portraits of the stars. In 1939, Fellini moved to Rome, ostensibly to attend law school but in fact working for satirical magazine Marc’Aurelio. He began writing professionally around this time, working on radio shows. He soon made a name for himself as a scriptwriter by contributing to the scripts of Fabrizi’s films. He signed to join the writing team for Rossellini’s Roma, città aperta, and the screenplay earned Fellini his first Oscar nomination. Fellini’s screenwriting, which was in high demand in Italy, led to direction, and after a few nonstarters, Fellini directed I vitelloni, which won the Silver Lion award at the Venice Film Festival. He followed it with La strada, which won the Academy Award for best foreign film. 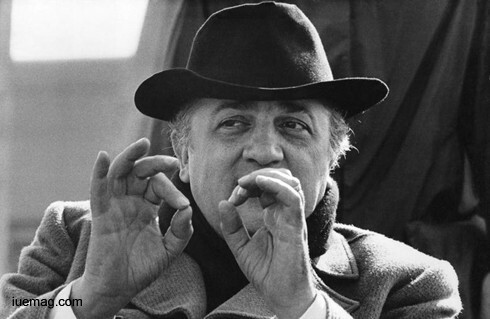 Fellini is one of the directors that has won the most Oscars, five, the last of which a lifetime achievement award, in 1993, a few months before his death on 31 October. Over a career of more than fifty years, he also won five Academy Awards. 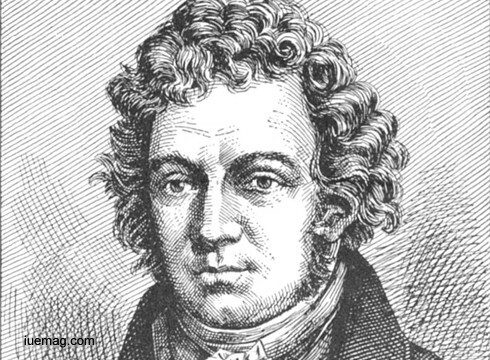 André-Marie Ampère was the founder of the science of electrodynamics, now known as electromagnetism. His name endures in everyday life in the ampere, the unit for measuring electric current. He was also an acclaimed mathematician with interests in several other fields like history, philosophy, and natural sciences. Born during the height of the French Enlightenment, he had the fortune of growing up in an intellectually stimulating atmosphere. The son of a prosperous businessman, he was encouraged from a young age to seek knowledge in a variety of subjects. He became fascinated with mathematics and science among other subjects, and grew up to become a professor of mathematics. A brilliant man with in-depth knowledge in various subjects, he also taught philosophy and astronomy at the University of Paris. Along with his academic career, Ampere also engaged in scientific experiments in diverse fields. In April 1820, Danish physicist Hans Christian Oersted discovered a link between electricity and magnetism – electromagnetism. Ampere was fascinated by Oersted’s electromagnetic discoveries and began working on them himself. After rigorous experiments, Ampere showed that two parallel wires carrying electric currents attract or repel each other, depending on whether the currents flow in the same or opposite directions, respectively. Extending Oersted’s experimental work, Ampere made several other discoveries in the field which became known as electromagnetism or electrodynamics. In recognition of his contribution to modern electrical science, the "ampere" was established as a standard unit of electrical measurement.